For tickets, more information, or group discounts, call State Theatre Guest Services at 732-246-SHOW (7469), or visit us online at STNJ.org. State Theatre Guest Services, located at 15 Livingston Ave, New Brunswick NJ, is open Monday to Friday from 10am to 6pm; Saturday from 1pm to 5pm; and at least three hours prior to curtain on performance dates unless otherwise specified. 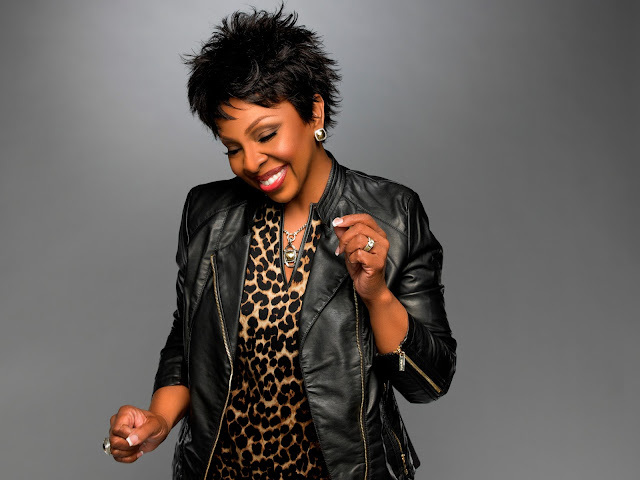 State Theatre New Jersey presents Grammy® Award-winning singer-songwriter Gladys Knight. The Empress of Soul returns to the State Theatre after a stunning performance of the National Anthem at the 2019 Super Bowl. Knight was also recently unveiled as “The Bee” in the FOX TV show The Masked Singer. Gladys Knight is a seven-time Grammy® winner. Knight has earned number one hits in pop, gospel, R&B, and adult contemporary, and has worked in film, television, combined with her live performances for the last 50 years. Gladys received her big break when Gladys and the Pips debuted their first album in 1960, when she was just 16. The group went on to record some of the most memorable songs of the 1960s, 1970s, and 1980s, including “Every Beat of My Heart,” “Letter Full of Tears,” “I Heard it Through the Grapevine,” and “If I Were Your Woman.” In the mid-1970s, Gladys and the Pips released “Neither One of Us (Wants to be the First to Say Goodbye),” “I’ve Got to Use My Imagination,” “Best Thing to Ever Happen to Me,” and “Midnight Train to Georgia,” which established Gladys Knight and The Pips as the premiere pop/R&B vocal ensemble in the world. Knight has recorded more than 38 albums over the years, including four solo albums during the past decade: Good Woman (1991); Just for You (1994); the inspirational Many Different Roads (1999); and At Last (2001). At Last produced collaborations with contemporary producers like Randy Jackson, Gary Brown and James D.C. Williams III, Jon John, Jamey Jaz, Keith Thomas, Tom Dowd, and Tiger Roberts. In 1995, Knight earned her star on the Hollywood Walk of Fame, and the next year, Gladys Knight and The Pips were inducted into the Rock and Roll Hall of Fame. Knight published an autobiography, Between Each Line of Pain and Glory (a line taken from her million selling recording “Best Thing That Ever Happened to Me”), in 1997, and the next year, she and The Pips were presented with the Lifetime Achievement Award from the Rhythm & Blues Hall of Fame. In 2004, Knight received the Lifetime Achievement Award at the annual BET Awards ceremony.